Monochronic cultures such as the USA and UK see time as tangible and sequential. They follow strict time schedules, focus on one task at a time and set deadlines that they aim to meet at all costs. See also polychronic. 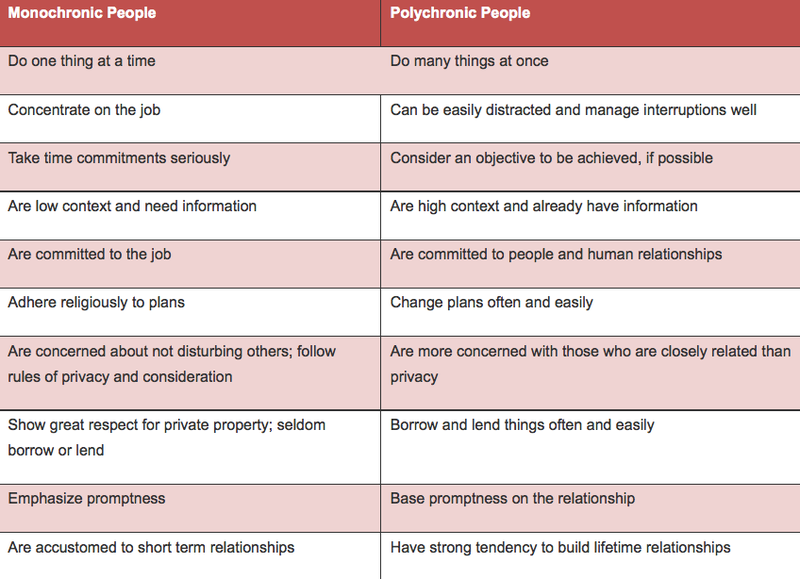 The table below summarises the main differences between monochronic and polychronic cultures. Culture and optimisation – Cross-cultural website optimization..